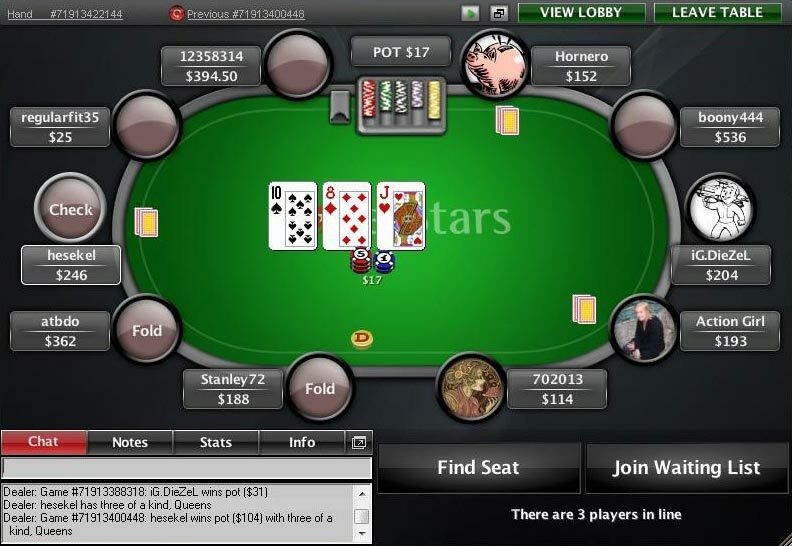 PokerStars has on average 12,500 cash game players online climbing up to 24,000 players at peak times, making it the World's highest traffic online poker room. US players are not accepted. Most casual players will receive around 10-15% rakeback, however high volume players can achieve up to 30%. Although rewards are low, PokerStars has the widest selection of game types (including Omaha and HORSE) and the lowest rake online. PokerStars does not offer flat rakeback. Instead players enter into the in-house VIP program and receive a volume-based rakeback equivalent of up to 30% by earning points (Starscoin) as they play. 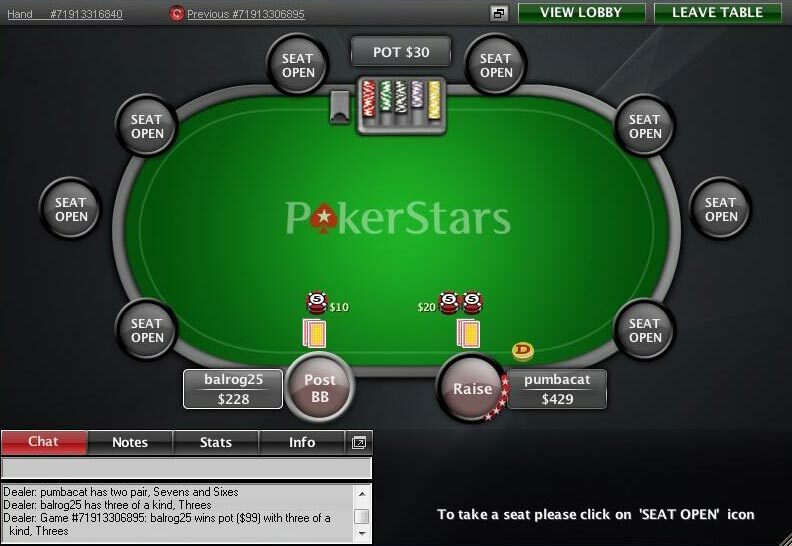 US players are not accepted at PokerStars. Check out these PokerStars alternatives that do offer rakeback and are open to the USA. Learn more about the PokerStars VIP changes here. Sign up for a new PokerStars account and you will receive a first deposit bonus of up to $600 / €500 / £400 with four months to clear it. Players can make up to three deposits to claim the full $600. The PokerStars welcome bonus is equivalent to at least 27% cashback until cleared, in $10 increments. Bonus cash cleared is yours to play with or withdraw. Use bonus code STARS600 when making your initial deposit. 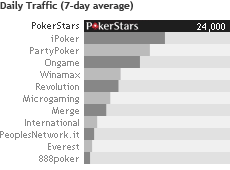 PokerStars has the lowest rake of any online poker site, which in part makes up for the lack of rakeback. You can play in big guaranteed tournaments like the Sunday Million, online tournament series like the WCOOP and satellite into PokerStars sponsored live tournaments including the PokerStars Caribbean Adventure where you can play with Team PokerStars Pros. 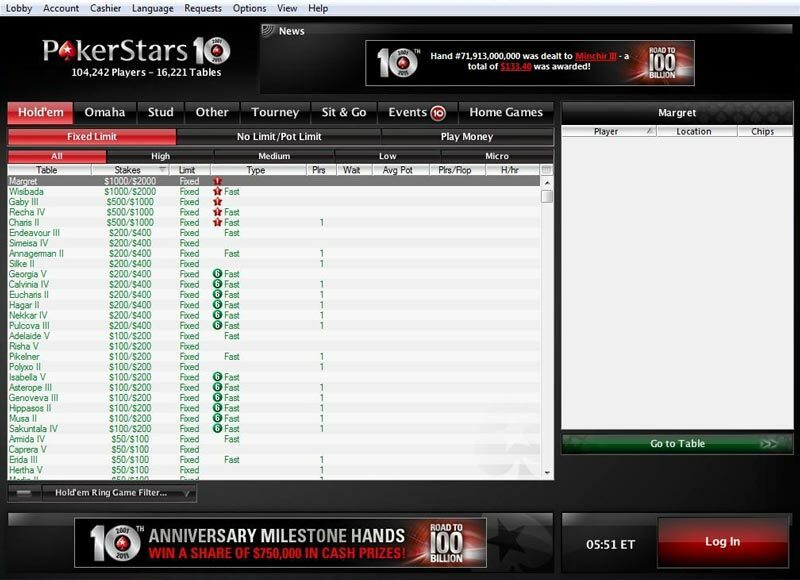 Make the final table and you will see yourself on PokerStars TV. 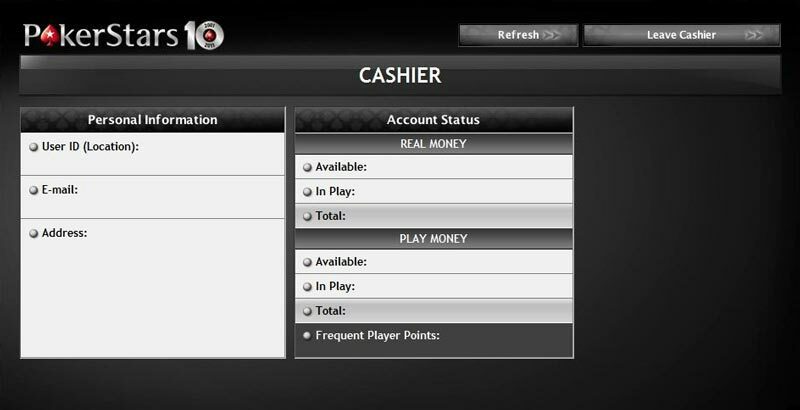 You can even set up your own private games on PokerStars and play with your friends. PokerStars is the largest real money poker site on the internet. A quick review of the game client shows that it’s highly customizable. Save filters to quickly find the type of game you want to play in order to become a true poker star. Play at PokerStars.com and buy cash with your poker points to get 12% to 74.45% rakeback, and more additional value from VIP tournament rewards.